22 Best Small Town Family Vacation Destinations in the U.S.
From beautiful sandy beaches to scenic mountains, America's small towns offer families a diverse choice of things to see and do. Visit the beaches on the East Coast, discover the culinary creations of the Southwest, explore the spectacular lakes of the Midwest, or get to know the West Coast of the United States. If you are looking for ideas from specific cities, we've already written about amazing weekend escapes from New York City, San Francisco, Seattle, Atlanta, San Diego, Los Angeles, Chicago and other cities. 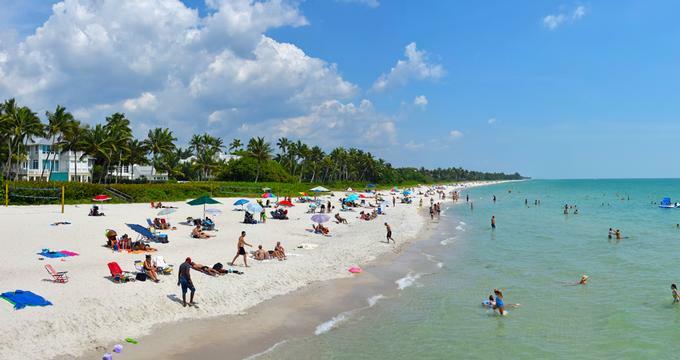 Overlooking the Gulf of Mexico on Florida’s beautiful coastline, white sandy beaches backed by narrow dunes and serene half-hidden mansions make Naples one of Florida’s prettiest cities. 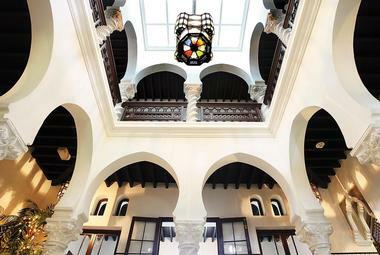 While cultured, stylish and sophisticated, it is also warm and welcoming with many fun family attractions and activities. The Golisano Children’s Museum of Naples (C’MON) is a wonderful, pint-sized introduction to the culture of Naples where 12 different galleries and exhibits offer interactive and hands-on learning experiences with winding boardwalks, virtual ponds and mangrove mazes filled with toys. Next to C’MON is the Sun-N-Fun Lagoon Water Park with water slides, lap pools, and sandy beaches. Where to Stay: Naples Bay Resort is set right on Naples Bay, complete with a spa, four pools, lazy river and a marina. Don’t Miss: Naples Zoo at Caribbean Gardens is a must-see with its exotic creatures, lively animal shows and exciting feedings. Resting at the foot of the Sangre de Cristo mountain range, Santa Fe is a vibrant town in New Mexico that offers a diverse choice of things to see and do. Families will delight in the array of adventures for children in and around town, including hiking, mountain biking and architecture. 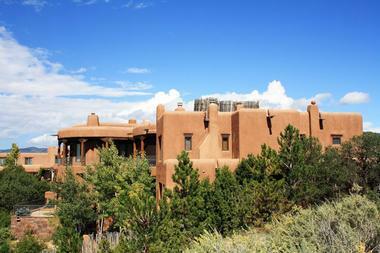 Where to Stay: Hotel Santa Fe offers rooms and suites furnished in Southwestern style close to Downtown Santa Fe attractions. Where to Eat: Cowgirl serves BBQ dishes, regional American cuisine and great desserts. 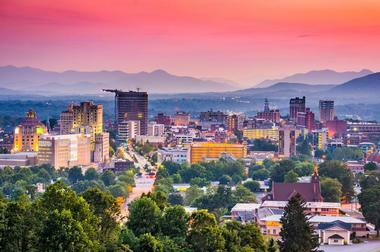 Offering beautiful mountain scenery, delicious local food, and a vibrant artist community, Asheville is the perfect place to escape from the hustle and bustle of daily life. From walking tours and shopping to art galleries and theater, this unique town offers a diverse choice of activities. Where to Stay: Stay in one of the spacious suites with upscale amenities at The Residences at Biltmore. Where to Eat: The Kid’s Menu at Stone Ridge Tavern includes mini hamburgers, grilled cheese and pasta dishes. Don’t Miss: Biltmore Estate is a playground for the whole family – pet baby animals at the estate’s farmyard, go on a Segway tour around the grounds, or take part in a variety of hands-on experiences at Antler Hill Village. 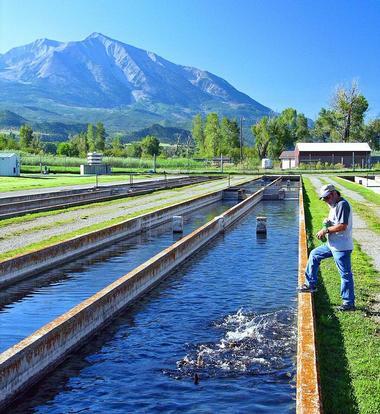 Surrounded by Colorado's beautiful Rocky Mountains, Carbondale is a picturesque town with a blossoming food scene, stunning scenery and a choice of outdoor activities. You can spend your days mountain biking, hiking, horseback riding, climbing and Nordic skiing. The Rio Grande Trail is a popular destination for biking and hiking, offering fresh outdoor air and great scenery. The Wild West Rodeo on Thursday nights is a fun event for the whole family, complete with calf roping and bull riding. Check with Carbondale’s Recreation Department before you go for seasonal programs, special events and field trips. Where to Stay: The cozy cottages and cabins at Avalanche Ranch are surrounded by trees and dramatic views. Where to Eat: Stop by The Village Smithy which has been serving delicious breakfast and lunch since 1975. Don’t Miss: The natural hot springs pools at Avalanche Ranch are not to be missed. Resting against the backdrop of the Blue Ridge Mountain, Charlottesville is a picturesque town which offers an array of wonderful experiences. 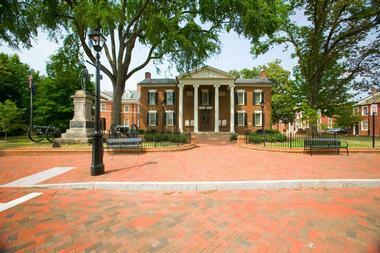 Explore the rich history of the town with a visit to Monticello, the home of Thomas Jefferson and a World Heritage Site, and the University of Virginia, which was one of his proudest legacies. 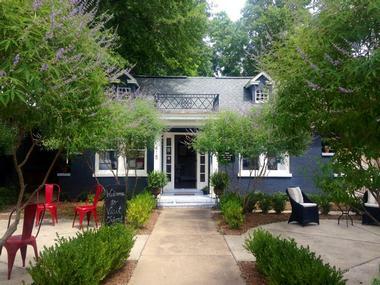 Where to Stay: The Oakhurst Inn has 27 modern guest rooms and five furnished apartments. Where to Eat: The Ivy Inn Restaurant serves delicious farm-to-table American cuisine. Don’t Miss: Carter Mountain Orchard where you can pick your own peaches or apples to take home. 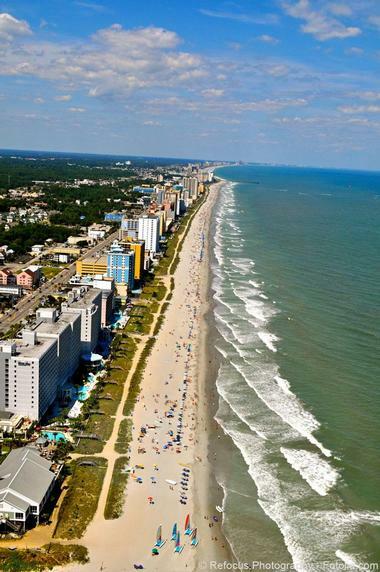 Nestled in the heart of the Grand Strand's spectacular stretches of long white sandy beaches, Myrtle Beach is a vibrant seaside town with excellent restaurants, beautiful natural scenery, amazing golf courses, and a wealth of attractions and activities. Bordered by the elegant Myrtle Beach Boardwalk, which winds its way past busy restaurants and cafés, buzzing beach bars, an impressive fishing pier and the famous 187-foot tall SkyWheel offer fun for the whole family. Where to Stay: Dunes Village Resort has ocean view rooms and a Kid’s Club with arts & crafts, treasure hunts and pool games. Where to Eat: Amici's Brick Oven & Italian Bistro serves delicious pizza and pasta dishes. Don’t Miss: Play a game of golf with the whole family at the Treasure Island Golf Course, a pirate-themed course with caves and waterfalls. 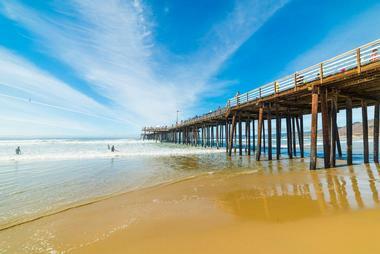 Pismo Beach is a beautiful beach town on the famous Pacific Coast, half way between and San Francisco. Boasting long white sandy beaches with breaking waves, patchwork vineyards of superb wineries and fantastic weather, Pismo Beach is the perfect place for some fun in the sun with the family. Hit the beach for long, lazy days of swimming, surfing, snorkeling and fishing in the cobalt waters of the Pacific Ocean. There are a number of excellent parks which boast wonderful scenery, walking and biking trails, picnic spots and playgrounds. The Children's Museum has interactive exhibits that inspire learning through play, while the Pismo Bowling Alley in the heart of town offers bowling and pizza. Where to Stay: Dolphin Bay Resort & Spa offers elegant accommodations, a spa and gourmet dining. Where to Eat: Gino's Pizza serves delicious pizza, sandwiches, pasta dishes and salads. Don’t Miss: Dinosaur Caves Park is an oceanfront park that offers a variety of unique features, such as dinosaur eggs, concrete dolphins and Oreo the Orca Whale. More vacation ideas: 25 Best Weekend Getaways from Los Angeles. 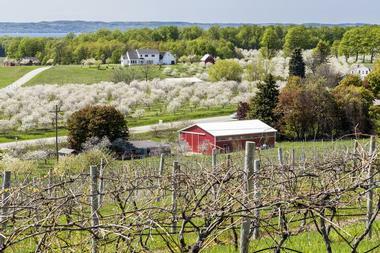 Situated in Sauk County, Wisconsin, Spring Green is a quaint village with much to offer. Best known for being the home and school of world-renowned architect Frank Lloyd Wright, Spring Green is bursting with history, heritage and interesting attractions. Discover buried treasure at the Cave of the Mounds, a National Natural Landmark, which boasts fossil digs, a gemstone mine and interactive butterfly gardens, or visit the awe-inspiring House on the Rock, a place of magic and mystery. Enjoy world-class Shakespearean plays in a natural amphitheater at the American Players Theater, or summer concerts by a medley of local and international artists. Head into the surrounding nature for a wealth of outdoor activities, including hiking, biking, horse riding, mountain biking and cross-country skiing. 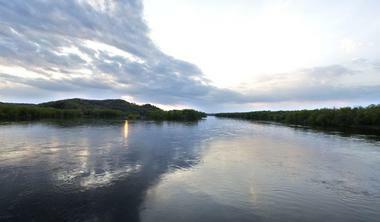 Take a dip in the Wisconsin River or go canoeing, kayaking, fishing or camping. Explore the Lower Wisconsin floodplains, which are home to a variety of wildlife and birds. Where to Stay: The Round Barn Lodge has an indoor pool, hot tub, Game Room and family-friendly accommodations. Where to Eat: The Café at the Spring Green General Store offers a casual lunch menu, complete with soups, sandwiches and salads. Don’t Miss: Watch a Shakespeare play at the American Players Theatre. Located on the broad Choptank River on Maryland’s Eastern Shore, Cambridge is a charming town where you will find a rich maritime heritage and a vibrant, friendly ambiance. Explore the history of the town with a walking tour, which takes you to the Richardson Maritime Museum and the Ruark Boatworks, where you’ll learn about boat-building, sailing, and the bustling seafood industry of crab-catching and oyster-dredging. Dorchester County’s flat, quiet roads are ideal for cycling. Hire bikes to explore the countryside, or get up close and personal with nature and its wildlife at the Blackwater National Wildlife Refuge, and spot bald eagles in their nest with an Eagle Cam. The town has many parks and playgrounds - head to the Long Wharf Park to climb beautiful old trees against a picturesque backdrop of the Choptank Lighthouse, beautiful marina and the cries of seagulls. Where to Stay: Hyatt Regency Chesapeake Bay Golf Resort, Spa and Marina has rooms with balconies, a championship golf course, indoor and outdoor pools and a spa..
Where to Eat: Stoked serves pizza, wings, pasta, fish and meat dishes, and delicious sweets. Don’t Miss: Breckenridge Adventures is a wonderland of fun with a nine-acre corn maze to explore in the fall, year-round paint ball and a host of other children’s activities on the 10-acre farm just outside the town. Traverse City in Northern Michigan is surrounded by beaches along the shoreline of Lake Michigan, exquisite natural scenery, a rich history, and a wealth of activities. Summers are made for family-friendly fun: ride bikes along the smoothly paved trails around Grand Traverse Bay, hike up the famous Sleeping Bear Dunes and watch a Traverse City Beach Bums baseball game. Fall sees hay rides and blueberry picking, while winter is a snowy delight of snowboarding, skiing or tubing down powder-white slopes. For indoor entertainment, the Great Lakes Children's Museum offers a wonderful insight into the importance of the Great Lakes, while the Historic State Theater is the place to go for children’s movies and shows. Where to Stay: Great Wolf Lodge has a water park, spa for kids and themed suites with mini log cabins and caves for kids. Where to Eat: Harvest restaurant and food truck serve seasonal dishes with locally sourced ingredients. Don’t Miss: The National Cherry Festival in July is a must for a fun day of fruit-picking and eating. 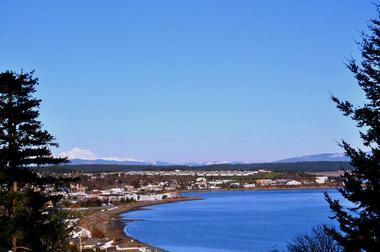 Named after the majestic oak trees that line the quiet streets, Oak Harbor is a beautiful waterside town on Whidbey Island in Washington. Though fairly small and quaint, this town is packed with things to see and do, with breathtaking scenery, wonderful hiking trails, handmade arts, and scuba diving adventures. First stop is the waterfront esplanade of Windjammer Park or City Beach, where you’ll find lovely picnic areas with tables, barbecue pits, gazebos, and playgrounds for the kids. It also boasts the scenic three-mile Maylor Point Trail, which is great for hiking and biking with the family. Fort Ebey and Fort Casey State Parks are located just outside of town and feature a number of military defense forts, bunkers, and gun batteries from the Second World War that can be explored. 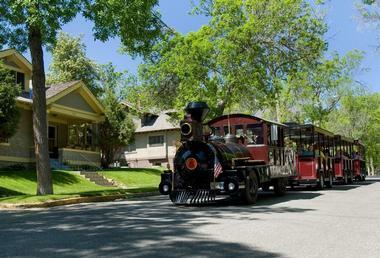 Where to Stay: The Coachman Inn offers spacious family-friendly accommodations and welcoming service. Where to Eat: The BBQ Joint is known for its Southern barbeque dishes and makes its own rubs, sauces and desserts. Don’t Miss: Step back in time with a visit to the Blue Fox Drive-In, one of the only five drive-in theaters remaining in the state of Washington, boasting double features on a huge outdoor movie screen, a 1950s-style snack bar serving delicious treats, go-karting and arcade games. Nestled among the rolling hills of Lafayette County in north Mississippi, Oxford offers a graceful Southern charm and is known as the ‘The Little Easy’ for its ornate downtown balconies and colorful energy not unlike New Orleans. Resting in the heart of a county named for a French hero in the American Revolution, this region boasts an unrivaled cultural richness, which is displayed in a dynamic artistic scene with a variety of entertainment to boot, such as plays, exhibitions, festivals and shows. Oxford has a wonderful outdoor scene with a plethora of activities, including fishing at Sardis Lake, tennis, camping or picnicking in one of the local parks. Where to Stay: The 5 Twelve offers five guest rooms and a studio suite furnished with flat screen TVs, luxury bedding and modern artwork. Where to Eat: Ravine utilizes fresh locally grown ingredients, some from its own gardens. Don’t Miss: Oxford is a ‘Bike Friendly Community’, so exploring the town on two wheels is safe and easy. More day trips and weekend ideas: 15 Best Things to Do in Jackson, Mississippi and best lake vacations. 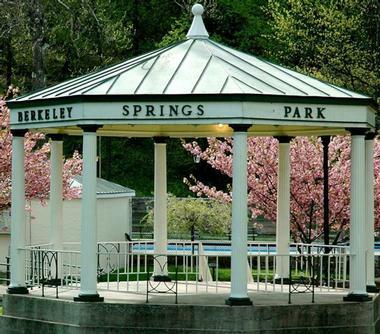 Nestled in the West Virginia Mountains just a short drive from Washington D.C., Berkeley Springs is a warm and welcoming historic town, home to natural mineral springs, full-service spas, elegant restaurants and boutique stores. Berkeley Springs’ beautiful natural surroundings of forested mountain slopes, rocky ridges, winding rivers and tranquil lakes make it an ideal outdoor playground for hiking, mountain biking, climbing, fishing and horseback riding. Follow in the footsteps of George Washington and learn about the history of the area on the Washington Heritage Trail, or hike one of the many spectacular trails in Cacapon State Park. Where to Stay: The Country Inn of Berkeley Springs offers 70 rooms and suites, a spa, English country gardens and a gift shop. Where to Eat: Panorama at the Peak works with local farms which supply the restaurant with natural and organic produce. Don’t Miss: Berkeley Springs State Park is the home of the historic warm mineral springs where you can soak in the therapeutic waters surrounded by four acres of beautiful scenery. Nestled on the banks of the mighty Mississippi River in Illinois, Quincy is packed with history, architecture, the arts and nature. The town is home to an array of beautiful parks, which feature playgrounds for kids, soccer and baseball fields, paths, lakes and picnic areas with barbeque grills. Indian Mounds Park features a walking time line that outlines the history of the Native Americans who built the mounds, as well as heated swimming pools, diving boards and waterslides. Moorman/Wavering Park is another great outdoor venue for fun in the sun, with miniature golf, batting cages, Frisbee golf, and paddle boat rentals. Scotties Fun Spot and Bonkers Family Fun provide a wealth of activities for children, including bumper cars, bowling, laser tag and go-karting, while the Tangerine Bowl of Quincy offers ‘Shadowlight Bowling’, a unique and unusual black-light bowling experience. Where to Stay: Stoney Creek Hotel has an indoor pool, sauna and comfortably furnished guest rooms close to many attractions in the area. Where to Eat: The Pier Restaurant sits on an old railroad pier with scenic river views. Don’t Miss: Stop at the Villa Kathrine which houses the Tourist Information Center and offers great river views. Montana’s capital city and once the center of the Gold Rush, Helena is brimming with culture, history, and interesting attractions. While the famous Last Chance Creek has long dried up, the town’s golden heritage is evident in the beautifully preserved buildings and churches dotted about town that are well worth a visit. However, it’s not only history and heritage that the capital city offers – there is a wealth of fun activities for the whole family to enjoy. Helena’s Great Northern Center has a few fantastic experiences for everyone. The Exploration Works Science Center offers hands-on learning with rotating exhibits and a magical music garden; the Lewis & Clark Interpretive Trail follows in the footsteps of intrepid adventurers Lewis & Clark; and the Great Northern Carousel is a wonderland of fun, from which your kids will never want to leave. Relax in the Tizer Botanic Gardens & Arboretum where there are variety of lovely displays, including a fairy garden, a children's garden, a perennial garden, and a nature trail with winding creeks and babbling brooks. Where to Stay: The Residence Inn by Marriott Helena has suites with fully equipped kitchens, living rooms, sofa sleepers and flat panel TVs. Where to Eat: Benny's Bistro serves international and local fare, and great desserts. Don’t Miss: Visit the Montana State Capitol on a one-hour guided tour to admire beautiful architecture and learn about state government. Boasting year-round festivals that follow the seasons, beautiful natural scenery that supports a plethora of outdoor activities, and a vibrant arts scene that sets the tone for the town’s youthful ambiance, Ashland, Oregon, is fun family destination. 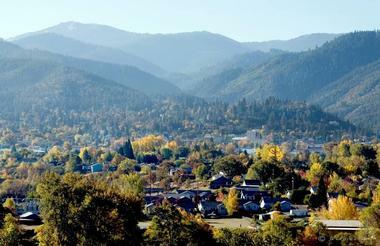 Tucked away at the south end of the Rogue Valley, the city has a wealth of things to see and do, both indoors and out. Outdoor adventures include white-water rafting, fishing, kayaking, hiking, mountain biking and trail running. Beautiful parks offer a wonderful diversity of fauna and flora: Lithia Park covers 93 acres in downtown Ashland and is home to manicured gardens, walking paths, duck ponds, and children’s playgrounds. Garfield Park offers wide, open spaces, a water-play area and playground. Hunter Park has a community swimming pool, softball/baseball fields and tennis courts. North Mountain Park has a Nature Center, which offers environmental workshops, classes and children’s programs and has access to Bear Creek. Where to Stay: Stratford Inn, located within easy walking distance of the downtown attractions, has an indoor pool and suites with kitchenettes. Don’t Miss: ScienceWorks Hands on Museum is fun for kids and grown-ups alike, offering interactive learning, a garden and live science shows. Surrounded by spectacular wild beaches with water on three sides, Ocracoke is a quaint and tranquil fishing village on the coast of North Carolina. Clapboard homes dating back to the 1880s line sun-dappled streets, while whimsical stores and cozy restaurants add a wonderful charm to this tiny village. Just over one square mile, the town can easily be explored by walking or biking, where the residents’ love of the ocean is evident in yards dotted with old skiffs, crab pots hanging off porches and pieces of decorative driftwood adding a maritime touch. 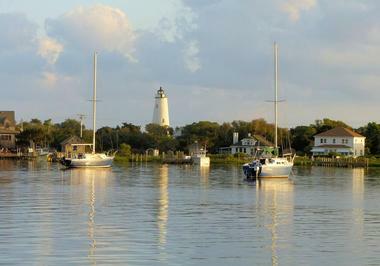 Ocracoke is all about the ocean and there are plenty of activities to try. Rent kayaks and explore Pamlico Sound, sail to Blackbeard's hideout, or learn to kitesurf on the beach. Wander around the historic island of Portsmouth, or visit the beautiful old Ocracoke Lighthouse that stands sentry on the shore. Catch your dinner from the salty seas, sit back, relax, and enjoy the laid-back ambiance of this lovely town as you watch the sun sink below the horizon on Silver Lake. Where to Eat: Captain Puddle Ducks' Seafood Steamer Pots serves up great seafood dishes caught by local fishermen. Don’t Miss: Take a surfing lesson from Ride the Wind. You may also like: 20 Best Things to Do in Charlotte, North Carolina. Resting at the mouth of the Connecticut River and watched over by two beautiful lighthouses, Old Saybrook is a picturesque coastal town with a rich history. Dating back to 1635, the town was founded as an independent colony that was known then as the Saybrook Plantation. Today, it is the perfect place to escape from the big city and unwind in tranquility. 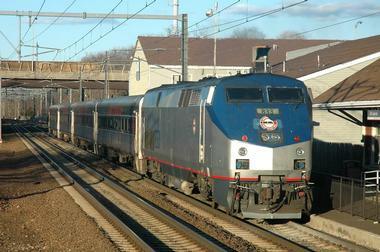 Ideally located on Long Island Sound, much of the town’s summertime activities revolve around the coastline. Rent kayaks in town and venture out onto the water in the protected North Cove or South Cove on the eastern side of town, or play a game of mini golf at Saybrook Point, which offers wonderful ocean views. Visit Harvey's Beach for good swimming and a children’s playground, Clark Community Park for landscaped picnic grounds and playing fields, or the Town Green, which has a pretty town square that plays host to festivals and town events. 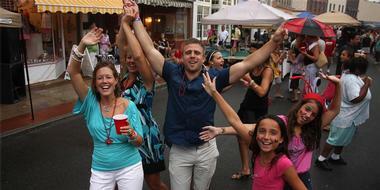 Where to Stay: Liberty Inn Old Saybrook offers adjoining rooms for families. Where to Eat: Aspen restaurant serves contemporary American cuisine prepared with fresh, sustainable ingredients. 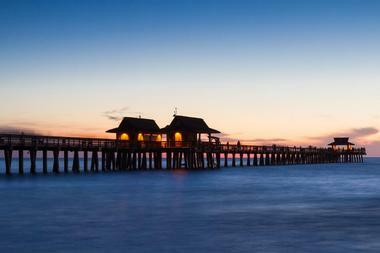 Don’t Miss: Springmaid Pier is a great spot for a family stroll or an afternoon of fishing. West Plains is a quiet Midwestern town in Howell County, Missouri that has a rich history reflected in beautifully preserved downtown buildings and a welcoming atmosphere. Home to the annual Old Time Music/Ozark Heritage Festival in June, which fills the town to capacity with visitors, the city is renowned for its parks and nature trails, which house a number of playgrounds for kids, beautiful pavilions in which to relax, and picnic tables and grills dotted around the greens. The Robert Neathery Skate Park will delight skateboard enthusiasts with its custom-designed layout, while the Heart of the Ozarks Fairgrounds plays host to an array of exciting events throughout the year, including rodeos, flea markets, demolition derby, truck and tractor pulls, livestock shows and fairs. Where to Stay: Holiday Inn Express West Plains has an indoor pool and comfortable accommodations. Where to Eat: Colton’s Kid’s Menu features burgers, grilled cheese, chicken fingers and other favorites. 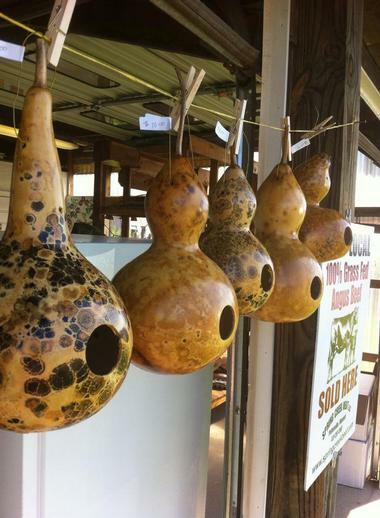 Don’t Miss: West Plains Area Farmers Market on Saturdays for food, baked goods and crafts. Featuring natural scenery and deep, tranquil lakes with great fishing, the Alexandria Lakes area in Douglas County, Minnesota is the perfect place to escape from the daily grind. There are many fun things to see and do with kids: get to know the town’s history, restaurants, boutiques, art galleries and theaters. Go on outdoor adventures along rolling green parks with hiking and biking trails. The Central Lakes Trail offers biking trails for all ages, while Lake Carlos State Park is a fantastic hiking venue. Learn how to paddleboard, wake board or kayak in the lake. Plan a picnic under the stars at a free summer concert on the Douglas County Courthouse lawn. 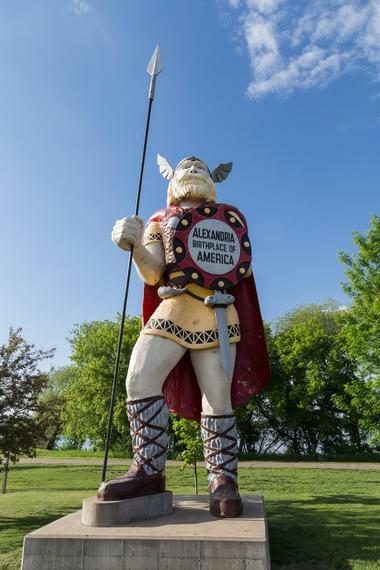 For some adrenalin-rushing excitement, watch the Alexandria Blue Anchors knock the baseball out of the park, or follow stock car racing at the Viking Speedway. Where to Stay: Hampton Inn and Suites Alexandria has 80 guest accommodations, including studio suites and two-queen suites which are great for families. Where to Eat: La Ferme serves a seasonally-inspired menu which incorporates organic and local produce. Don’t Miss: Spend a morning strolling through the beautiful floral displays at the Minnesota Lakes Maritime Museum & Gardens. Resting at the foot of the majestic Rendezvous Peak, northwest of Jackson, Teton Village is surrounded by spectacular natural scenery, and offers a wealth of all-season attractions and adventures. Known as the largest vertical rise in America, Rendezvous Peak attracts skiers from around the world to its slopes during winter. 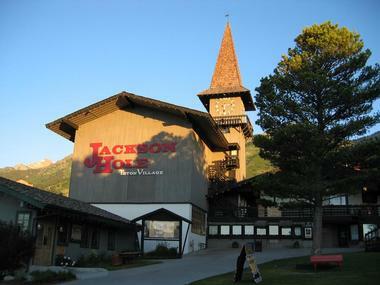 Accessed by the Jackson Hole Aerial Tram, which glides 4,139 vertical feet from Teton Village to the top of Rendezvous Mountain, this is a must-do in any season. Feel like you are flying through the air on this exhilarating 15-minute tram ride to the top of the mountain. Summers offer just as much to do, from horseback riding, hiking and biking the numerous mountain trails to summer ski schools, hunting and float trips in the area. Where to Stay: Teton Mountain Lodge & Spa has an outdoor pool, a relaxing spa and rooms with a view. Where to Eat: Il Villaggio Osteria serves delicious pasta dishes. Don’t Miss: Visit the nearby Grand Teton National Park. 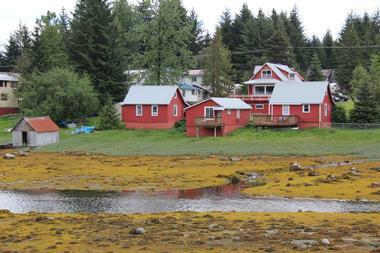 Surrounded by the thick, forested islands and rugged mountains of Alaska’s spectacular Inside Passage on the northern tip of Mitkof Island, Petersburg is a picturesque fishing community with a strong Norwegian heritage in the heart of the Tongass National Forest. The village offers a slow-paced tranquility where life revolves around fishing, with small fishing and pleasure boats dominating the waters around the town. Wildlife is abundant in this unspoiled wilderness, where a variety of animals and birds are common to the area, including black bears, wolves, moose and eagles. Catch wild Alaska salmon in the waters around Petersburg, where you can fish from shore, join a charter operator, or rent your own boat. Stay at a fishing lodge and eat your catch of the day next to the roaring fire as you soak up the spectacular vistas. Where to Stay: The Nordic House Bed and Breakfast offers scenic water views. Where to Eat: Papa Bear’s Pizza makes its own dough every day from a family recipe. Don’t Miss: Head out into the wild on wildlife spotting adventures, where expert guides point out sea lions, whales and seals, or go fishing, hunting, and hiking throughout the region.